What were the aims and some of the projects included in the SAFE campaign? Work closely and collaborate with other relevant organisations to enhance joint working for the best outcomes for young people. 1) SAFE Card A card detailing young person friendly helpline numbers, relevant websites and free apps, to increase awareness of where and how to access support, information and advice, as well as improving confidence in asking for and accessing help if needed. 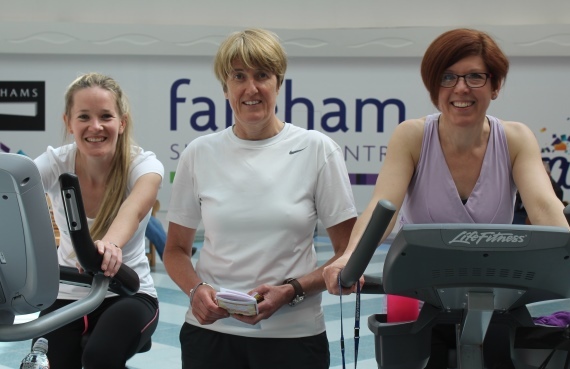 2) Cycle 145 Staff from Hampshire CAMHS and Hampshire Constabulary cycled a combined distance of 145miles on two static bikes, to represent the number of youth suicides that occur in the UK every year. There was also a stand providing information, advice and guidance to the general public about Hampshire CAMHS and where to get support. Young people across Hampshire took part in a half hour workshop which focused on; exploring issues that impact on emotional health, wellbeing and functioning, discussions on how to cope when in crisis and where to access help and support. Afterwards, young people completed an hour long pottery/ ceramic workshop to make a starfish. 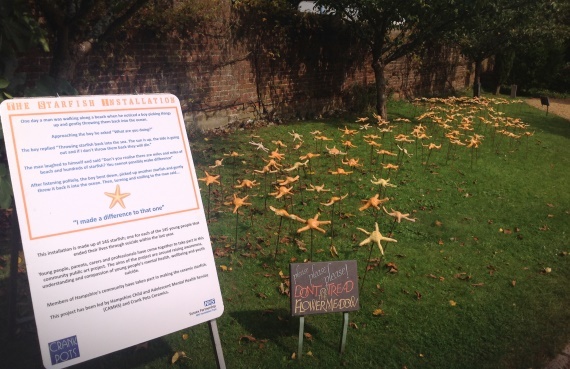 The starfish were displayed in four installations at public venues across Hampshire, each made of 145 ceramic starfish, which represented the 145 youth suicides that occur in the UK every year. Inspired by The Starfish Story, the message of the campaign was that mental health and wellbeing is everyone’s business and that if people demonstrate kindness and empathy, there could be a positive impact in reducing stigma and people feeling able to talk about their experiences and access help and support. 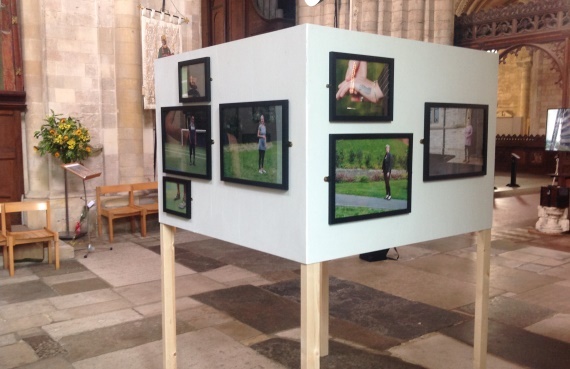 An exhibition of portraits of those who had been affected by suicide. The completed works were displayed in public venues in Hampshire. Thirteen individuals volunteered to be photographed, with the aim of encouraging conversations about better understanding and the impact of suicide on others. The Faces of You exhibition is currently touring Hampshire. A conference as part of a series of events in the SAFE Campaign. The aims were to; increase knowledge, awareness and skills in identifying and managing episodes of crisis for professionals working with young people, increase compassion and empathy for those that experience mental health difficulties and to provide information and advice about services and organisations available to support young people and their families in crisis. Over 100 professionals attended the conference. Part of a series of events to commemorate the first anniversary of the SAFE Campaign. The day had an emphasis on hope, resilience and recovery; supporting and encouraging young people to take responsibility for their life choices in relation to health and wellbeing. Secondary Schools from across Hampshire were invited to bring student ambassadors to this free event, hosted and facilitated by Hampshire CAMHS in partnership with facilitators from other organisations including but not limited to; Winchester Young Carers, Catch 22, Life Education Wessex and No Limits.